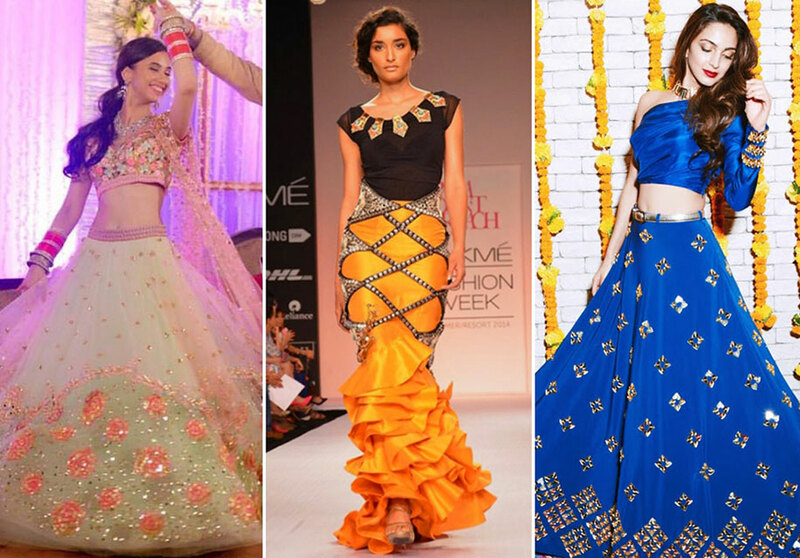 If you are a bride who desires a slightly different design aesthetic or are looking for something edgy yet elegant, check out our list of fashion-forward designers who are pushing the envelope and breaking norms when it comes to bridal wear with their avant-garde creations. 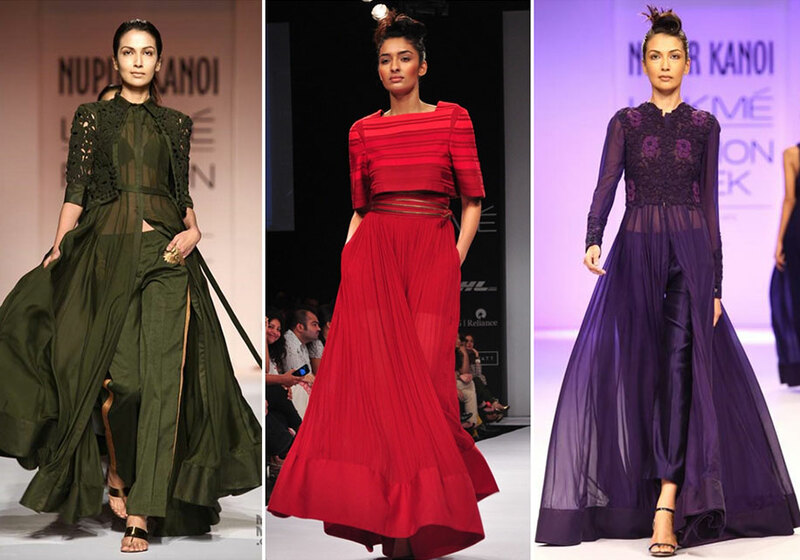 Sonaakshi Raaj is a young designer whose label epitomizes opulence and femininity. 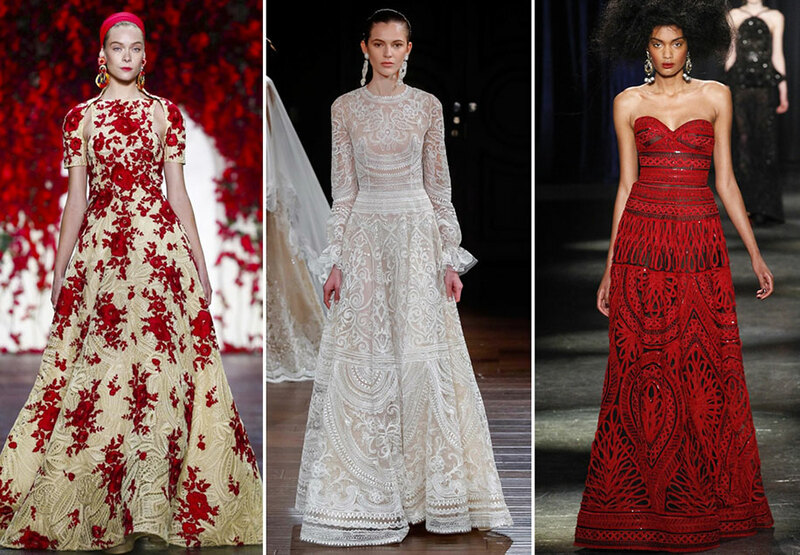 She places a strong emphasis on fabric, colors, and cuts when it comes to her couture creations. Whether it’s her saree gowns or lehengas, her vibrant style is what makes her a name to reckon with. Phatphattitude defines itself as a ‘stirring concoction of culture and creativity mixed with tradition and trends’. The design label started by friends Shreya and Rajvi truly embraces color and creativity through each of their creations. 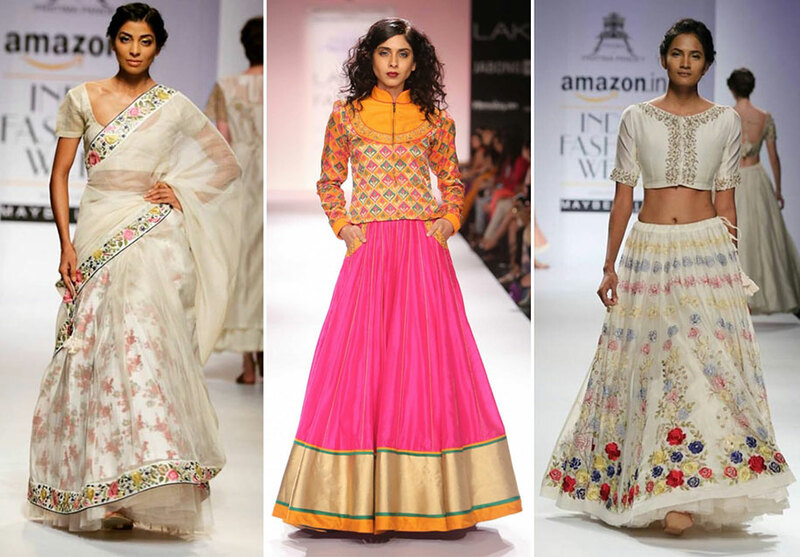 Whether it is a feminine white lehenga or an edgy multi-color kurta, this label will keep you on track with fashion. If you are looking for beautifully tailored pieces with modern silhouettes, then Prama by Pratima Pandey is the label for you. 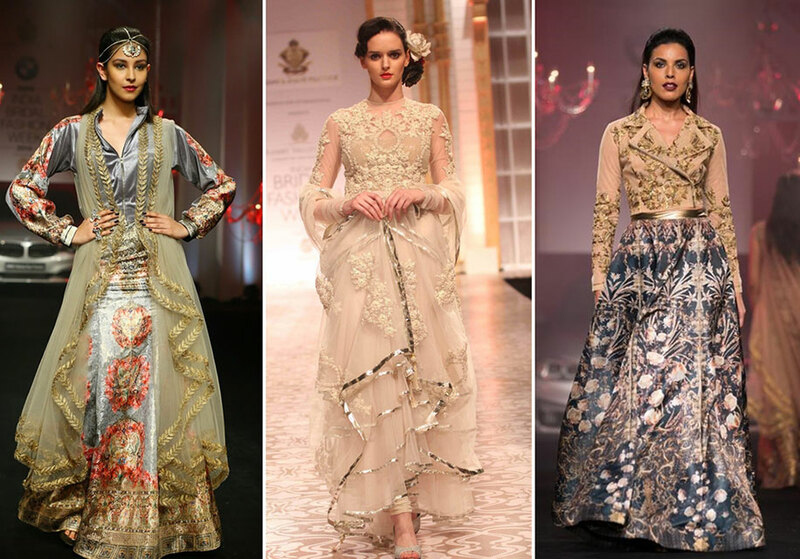 Take your pick from gorgeous ghaghras, embroidered and layered garments that are apt for a beautiful bridal wardrobe. Also, all of their clothes are made from sustainable and eco-friendly fabrics. MadsamTinzin brings together the love and passion of design through a uniquely collaborative design process. The quality and craftsmanship are expressed through the interplay of silk fabrics in flattering silhouettes. The brand is also known to fuse embroidery patterns from different parts of the country for a truly beautiful finished garment. 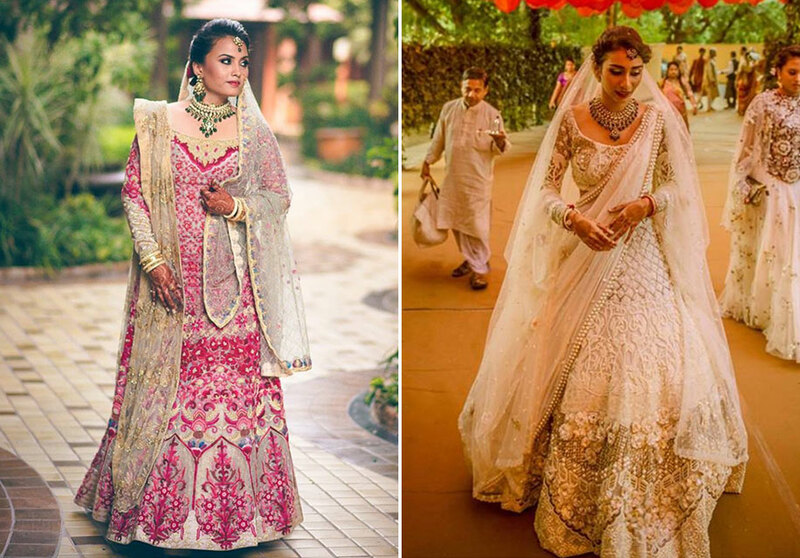 The main focus is on pastel and lightly-colored lehengas that can be a perfect ensemble for a cocktail or sangeet ceremony. Papa Don’t Preach By Shubhika is a sassy girl’s answer to glamor and playfulness. The label which was started in 2010 is a unique blend of modern cuts and colors incorporated with finesse in traditional bridal designs. Definitely, a must-try for someone who likes to experiment with bridal wear! Think beautiful prints, full lehenga skirts, off-shoulder beauties all encompassed in Payal Singhal’s unique bridal offerings. Her style is feminine yet unique, something that is a mix of vintage and chic. Her label is a classy choice for a bride who wants a unique and elegant bridal wardrobe. Sometimes, it is just great to embrace femininity in all forms. Pernia Qureshi’s label promises that your bridal lehenga will not only be traditionally pretty but will also feature modern fabulosity in its design. If you fancy lighter colors such as peach, minimal shimmer, and simple embroidery, then do check her label out. Gaurav Gupta’s eponymous label is an answer to the beauty of dark ‘Indian’ goth style. He transcends these gloomy undertones beautifully in his bridal couture too. 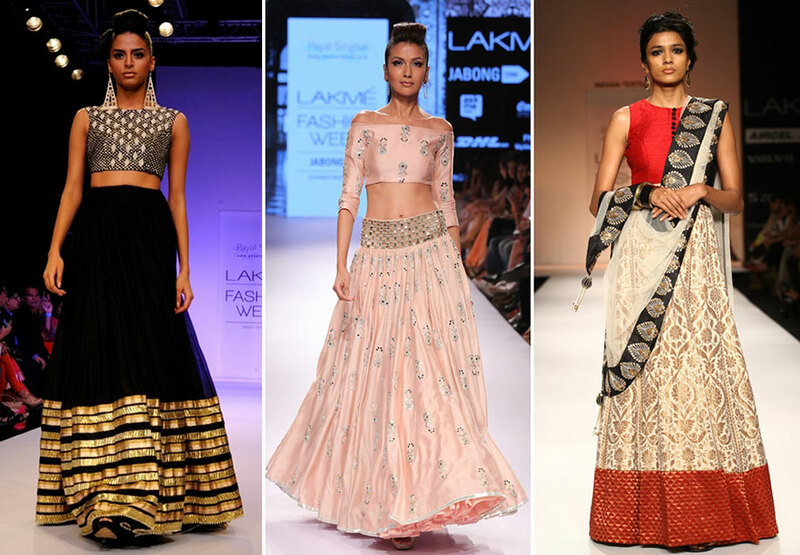 Imagine a traditional lehenga with military cut lines and three-dimension embroidery. Definitely not for the faint hearted, we say. 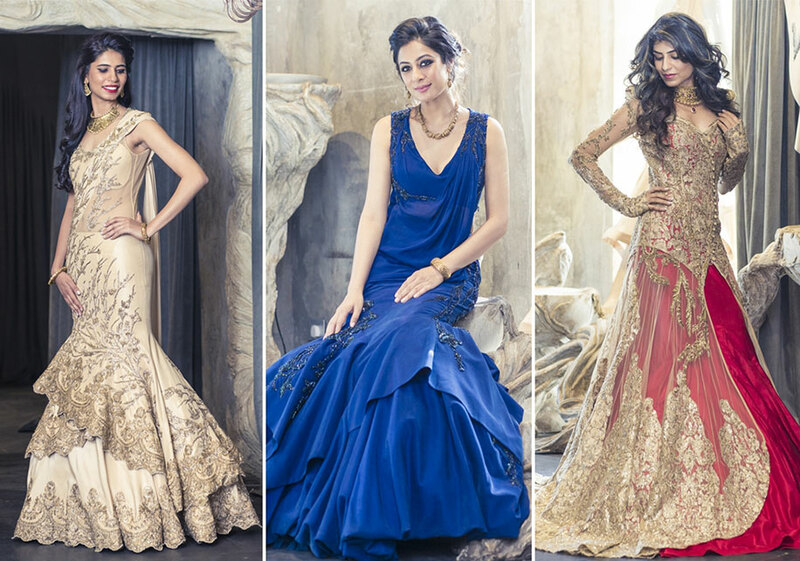 Sure, the Indian-born fashion designer has made heads turn with his beautiful couture gowns but it is his bridal collection that he is most applauded for. From dressing model Alessandra Ambrosio to Katy Perry, his intricately designed white gowns are every bride’s dream come true! Want to include feathers and fur in your bridal ensemble? 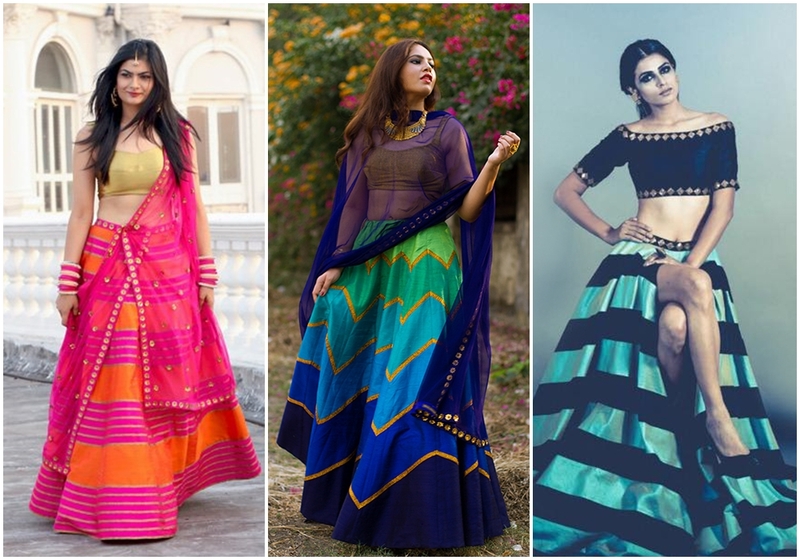 If you are one of those brides who does not mind experimenting with colors and patterns, then Falguni and Shane Peacock will not disappoint. All their designs reflect an ostentatious use of beautifully crafted feathers, sequence, and prints. Perhaps, it is a fluid mix of traditional and modern elements that make their bridal designs truly enviable. Siddhartha Tytler’s bridal designs are all about interesting structures, bold colors and sharp cuts with an emphasis on timeless glamor. The label’s expertise ranges from sensual, draped western wear to traditional wear with a contemporary spin. His immaculate designs have made a mark not only in Mumbai but also in international locales of New York, Los Angeles, London, Dubai, Kingdom of Bahrain, Panama, Riyadh, Kuwait and Japan among others. 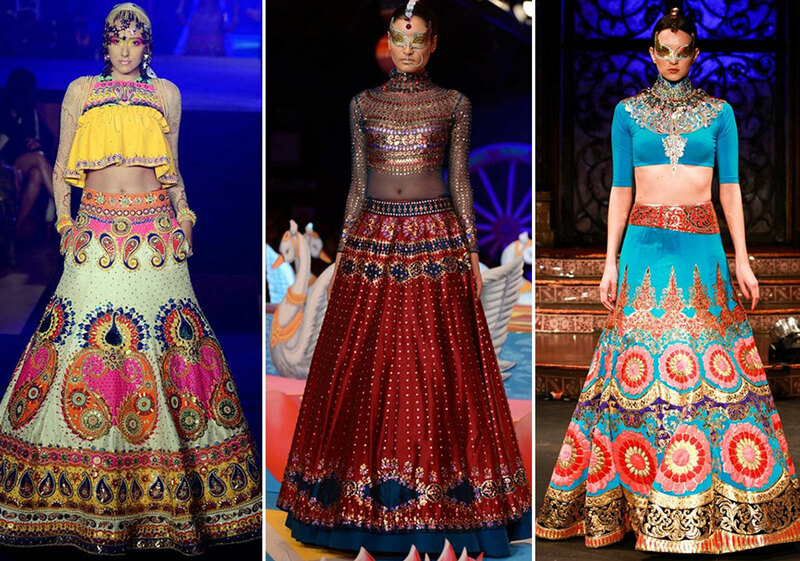 Apart from being a world-renowned fashion designer, Manish Arora is most famous for combining contemporary silhouettes with a range of traditional Indian crafts which include embroidery, applique and beading work. 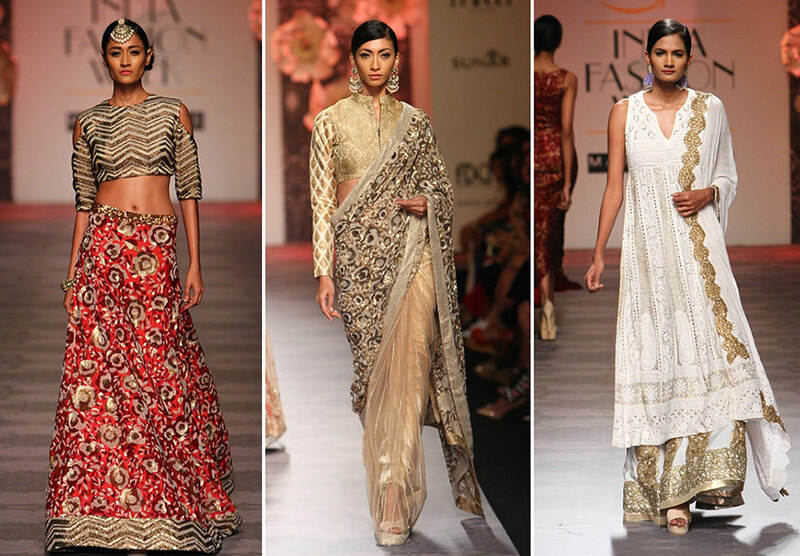 His creations represent a work of art, a beautiful mix between international and Indian fashion elements. Wear his creations for your wedding day if you truly want to have fun, while enjoying all the attention that you deserve! 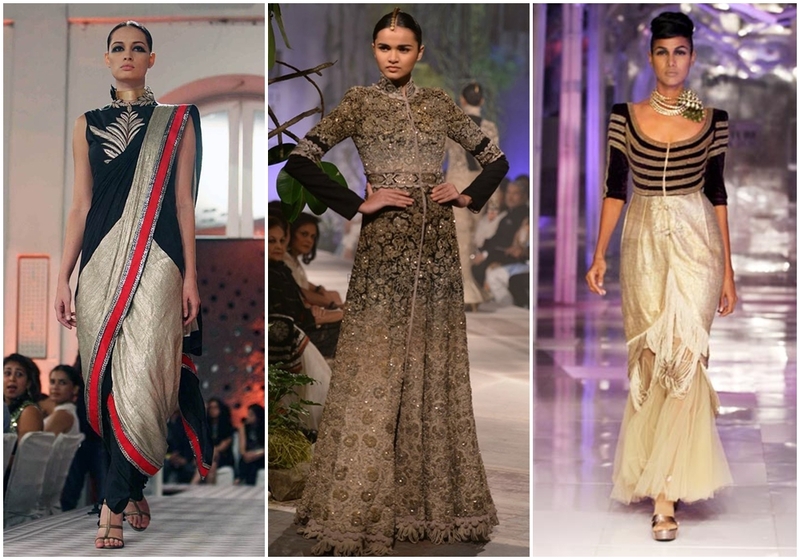 Often credited for bringing back dhoti pants and reinterpreting the nine yards, Anamika Khanna has played a seminal role in the Indian fashion industry. 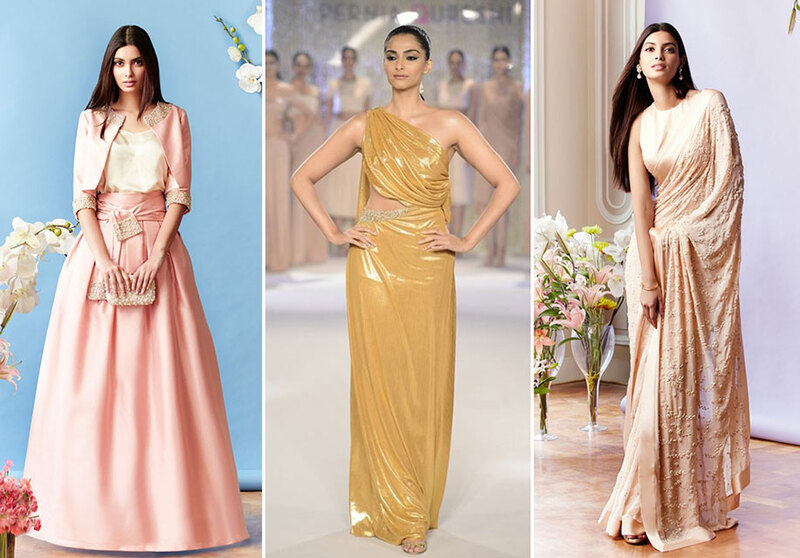 Whether it was her interesting take on the dhoti saree or any other modern day bridal wear, she is synonymous with edgy style and timeless elegance. 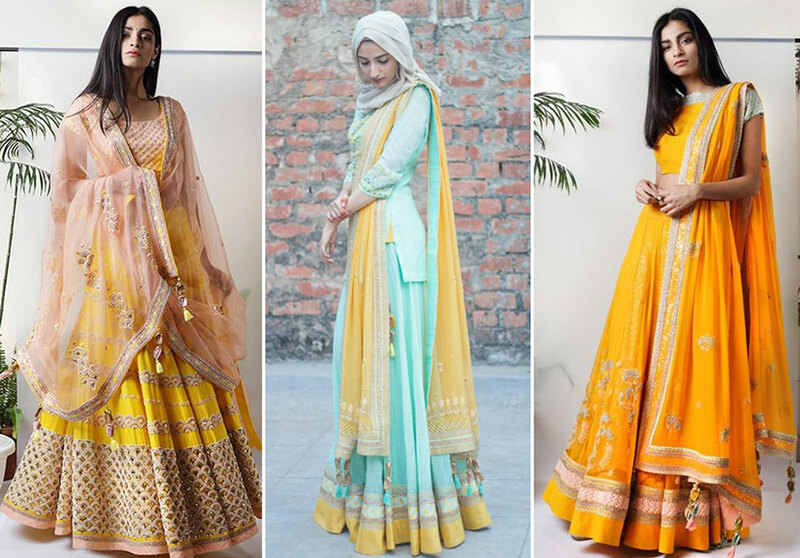 Trust NupurKanoi to truly understand the use of natural fabric and dyes in all her clothes, Her designs are rich in color and style with a high emphasis on minimalism and cleaner cuts for a bride who wants her personality to shine through her clothes. Clean lines, ingenious embroidery placements, and metallic accents complete Priyal Prakash’s take on colorful and trendy bridal wear. It is the modernistic take on the lehenga that makes Priyal’s bridal collection truly unique and fabulous. The striped lehenga with a crop top like polka, makes it quite an admirable piece for any bridal wardrobe.